“I really appreciate the local support and I am hoping that this year I can add my name to the Joe Kirkwood Cup for a second time. Tourism and Major Events Minister Kate Jones said Scott would further enhance what was already a world-class field for the event. “Adam Scott is a hero to so many golf fans so it is fantastic news that he has again chosen to tee it up at the Australian PGA Championship on the Gold Coast,” she said. “Each year Adam comes home to compete and celebrate his international season with Australian sport fans. This year is no different and we are delighted to have him playing the Australian PGA Championship. “Adam is an excellent ambassador for tournaments on the ISPS HANDA PGA Tour of Australasia and I am sure that words of encouragement from him helped attract Sergio to the Gold Coast. Since Sergio Garcia was announced to play the Australian PGA Championship, Sunday tickets to the Lexus Marquee on the Soniq Million Dollar Hole have sold out. Fans who want to join in the festival atmosphere are encouraged to book tickets from Thursday to Saturday quickly due to unprecedented demand. For an image of Adam Scott please click here. Please credit Australian PGA Championship. The Australian PGA Championship is back at RACV Royal Pines Resort, on the Gold Coast in Queensland from 30 November - 3 December. Masters champion and World Number 7 Sergio Garcia will headline a stellar list of Australian and international players who will compete for the Joe Kirkwood Cup. A festival of golf the Australian PGA Championship week also includes the Cobra Puma Orange Crush Kids Day and the Greg Norman Medal; the Aussie PGA is where everyone plays! easyGolf Worldwide travel & tours CEO, Richard Tessel, today announced that Glenn Paul has joined the team at easyGolf Worldwide as their new Ambassador. Glenn turned Professional in 2005 in Sydney and undertook a Traineeship with the PGA. He competed on the Tarheel Tour (now the eGolf Professional Tour) in the US in 2008 and was based at Pinehurst, NC. Upon returning to Australia Glenn competed in a number of Tour events and Pro-Am's before relocating to Perth in 2011 to be with his wife. He married in January 2016. 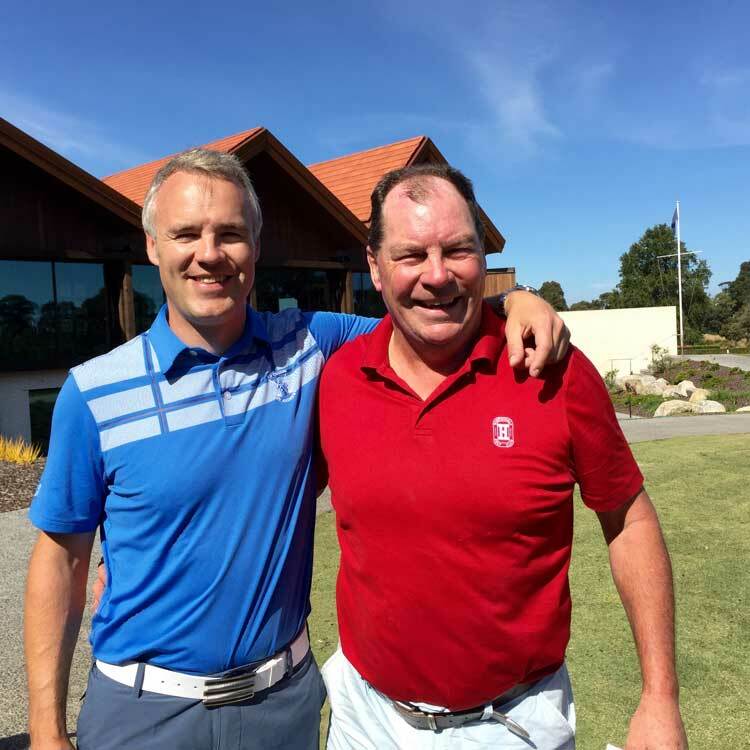 Glenn is now the Head Teaching Professional at Carramar GC in Perth and uses his playing experience to help golfers improve their game. Glenn's passion for playing tournament golf has never wavered and he is now able to combine tuition and tournament play, helping to grow the game while also remaining competitive. He will be competing in Pro-Am’s across the May/June circuit in Western Australia and also aiming to get starts in a number of Tour events throughout the year. Glenn said, "The opportunity to partner with easyGolf Worldwide opens up another avenue to promote and grow the game globally. As a tournament golfer, I have the opportunity to play on some of the worlds best courses. Partnering with easyGolf Worldwide will allow me to offer the same opportunity to my clients and the entire golfing community. I’m looking forward to promoting easyGolf Worldwide’s travel packages and services and helping to tailor additional packages for golfers." easyGolf Worldwide travel & tours CEO, Richard Tessel, today announced that Ian Baker-Finch has joined the team at easyGolf Worldwide as their new Ambassador. Mr Tessel described Ian’s love of sport and his professional career as being a perfect fit for the luxury golf travel company. “Having an ambassador of the caliber of Ian on board is something we are extremely proud of and we look forward to working with him going forward”. Ian Baker-Finch is one of the PGA Tour’s most recognized names, having made an impact in the golf world in the US and internationally. 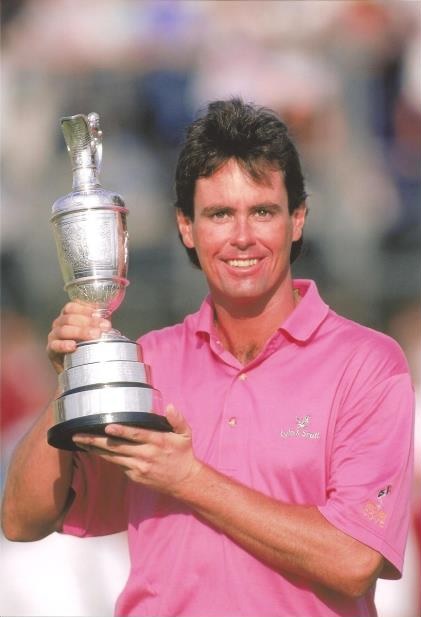 Ian is known for his expansive golf career that stretches across many countries and he has over 18 professional wins under his belt, as well as more than 15 years in sports television where he is highly regarded for his easy-going manner and his love of the game of golf. In addition to his accolades on the course and behind the lens, Ian’s Baker-Finch Design has been involved in the design of golf courses around the world for the last two decades. Along with his course design business and television work, Ian has become one of the more sought-after corporate presenters, hosting golf days for many leading corporations and charities all over the world. Golf is still one of the most important components of Ian Baker-Finch’s life, and his passion for the sport can be seen throughout all aspects of his life. It is this love of the sport and his professional attitude that make him such a great fit for easyGolf Worldwide. Established in 2000, easyGolf Worldwide travel & tours has been providing golfers with holidays and excursions to all the world’s best golf courses. Whether you need a private golf day, a corporate or charity golf day or even an International Golf experience, easyGolf Worldwide travel & tours are there to deliver an unforgettable experience. Golf technology leader upgrades relationship with Golf Australia! Australia’s leading golf technology company MPower MSL has extended its relationship with Golf Australia through a new strategic partnership. Golf Australia will continue using MPower MSL to service the Golf Australia Handicap System, GOLF Link and collaborate on enhancements to the online experience for Australian golfers. From April 2017, golfers will check their handicap via the Golf Australia website. MPower MSL Managing Director and Chief Executive Craig Kinross said his team was excited by the opportunity to upgrade the relationship with Golf Australia as its technology partner through software development, technical expertise and consulting services. “Our purpose at MPower MSL is to empower the golf club by delivering solutions that improve the clubs knowledge, understanding and engagement of the golf community to make more money, save money and improve their governance,” Mr Kinross said. “MPower MSL is focused on delivering the best possible outcomes for golf clubs and golfers and with our systems remaining in place, the game will continue to flourish. Golf Australia Chief Executive Stephen Pitt said the ongoing relationship between Golf Australia and MPower MSL ensures the hundreds of thousands of golf members will continue to enjoy a world class online handicapping service. “The extended partnership with MPower MSL will allow us to better communicate with golfers around the country and make golf stronger in Australia, so it’s a very important milestone,” Mr Pitt said. Mr Kinross said MPower MSL is now focusing on the coordination of its golf businesses, which will be integrated at both a domestic and international level. “Our new brand called MPower Golf will be devoted entirely to the golfing industry and is a one-stop-shop combining our market leading products from GOLF Link Partners, iSeekGolf, Golf Computer Systems (GCS), Scandinavian-based GolfBox and Micropower,” Mr Kinross said. “The consolidation of these technologies and expertise demonstrates our affinity with the culture of Australian golf which is reflected in our products, services and solutions – we create products that golfers love. The strategic partnership with Golf Australia will further support the investment in Australian golf by Genesis, which recently partnered with both Golf Australia and the Genesis Golf Link Cup. easyGolf Worldwide travel & tours have been awarded the prestigious title of “Australia’s Best Inbound Golf Tour Operator” for 2016 at the 3rd Annual World Golf Awards. Mr Richard Tessel CEO of easyGolf Worldwide travel & tours from Melbourne, Australia also received the coveted award for “Travel Personality of the Year 2016”. Richard Tessel, CEO of easyGolf worldwide travel & tours was overjoyed and humbled at being named the Winner and stated “These awards are a reward for the hard work and dedication of all of us at easyGolf worldwide travel & tours. They reinforce the ideals that we hold dear, that our customer and their experience is always foremost in our mind. We pride ourselves on delivering a highly personalised service with the aim of exceeding our customers' experience. No matter where in the world you want to visit, we will make it happen. We have access to the world’s finest golf courses and have partnerships with golfing organisations that ensure your golfing experience is everything you expect and more. We represent many other sporting organizations across the globe immaterial of where in the world and Australia you wish to visit. I am totally blown away and humbled to the core and I have accepted this honour with sincere gratitude”. The 3rd Annual World Golf Awards were announced at a black tie function at the spectacular Conrad Algarve, Portugal on Saturday, 12th November 2016. Danny Frawley has been announced as an ambassador for easyGolf Worldwide Travel & Tours. easyGolf Worldwide Travel & Tour’s CEO, Richard Tessel described Danny’s love of sport and his professional career as being a perfect fit for the luxury golf travel company. “Having an ambassador of the calibre of Spud on board is something we are extremely pleased about and we look forward to working with him going forward,” Mr Tessel said. 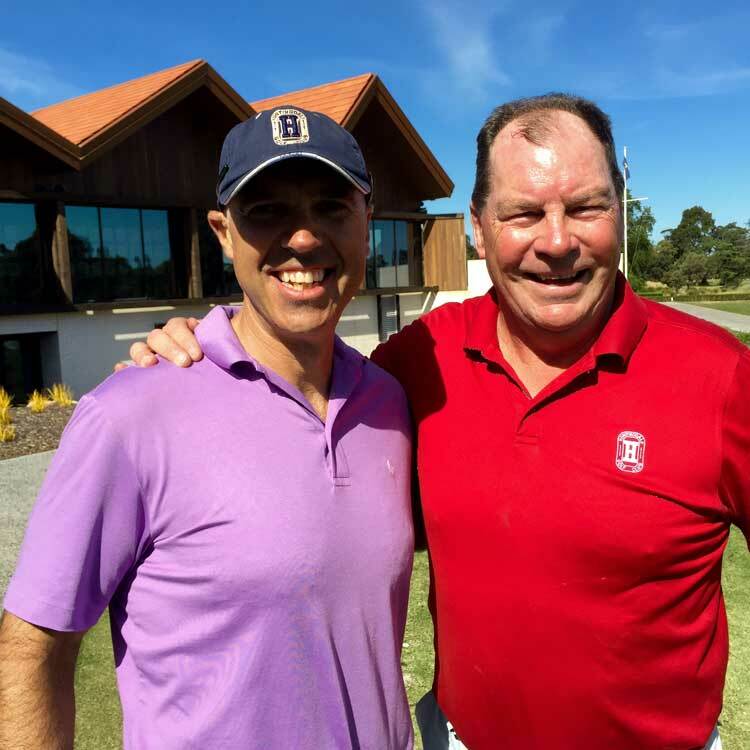 Danny (Spud) Frawley has a long list of achievements to his name in the world of AFL and he is now combining his love of sport and travel as easyGolf’s ambassador. The longest serving captain of the St Kilda Football Club enjoyed a career which spanned from 1984 to 1995. He was inducted into the Saints Hall of Fame in 2007. Frawley became the senior coach of the Richmond Football Club in 2000, and in 2008 and 2009 Frawley worked at Hawthorn as a part-time coach. He rejoined St Kilda as a backline and key position coach in November 2014. Since leaving coaching, Frawley has been a special comments man for Triple M. In June 2006 he coached a winning Victorian State of Origin side in the E. J. Whitten Legends Match and became the chief executive of the AFL Coaches Association. Since retiring from footy, Danny has become a commentator for Fox Footy and is the co-host of After the Bounce with Jason Dunstall, Alastair Lynch and Andrew Gaze as well as being an integral part of the Triple M Footy team on Saturday afternoons. To be played at Lake Karrinyup Country Club from 16-19 February, 2017 and co-sanctioned by the PGA Tour of Australasia and European Tour, the World Super 6 Perth will be a world-first in professional golf. The World Super 6 Perth will combine 54 holes of traditional stroke play across the first three days with an exciting knockout match play format for the fourth and final round. A regular cut will fall after 36 holes before the field is then further reduced to the top-24 players following 54 holes of regulation play, with any ties for 24th place being decided by a play-off. Those remaining players will then earn their places in the six-hole shoot-out. Any matches tied after the six holes will be decided by playing the new Knockout Hole - a purpose-built 90-metre hole which will be constructed at Lake Karrinyup, with a new tee placed adjacent to the 18th fairway and utilising the 18th green. The Knockout Hole will be played once and if a winner is still not decided, the competitors will return to the new tee and take on a nail-biting decider, with the victor decided on a nearest-the-pin contest where only the first shot counts. That player will then progress to the next round of the match play or, in the case of the final match, win the tournament. The World Super 6 Perth is a revolutionary golf tournament designed to retain the traditions of the game whilst appealing to a broader market. "This is an exciting day for international golf as we launch the World Super 6 Perth; a golf tournament which is set to change the way people view golf," said Brian Thorburn, CEO of the PGA of Australia and PGA Tour of Australasia. "Cricket has Twenty20, Netball has Fast5, Rugby Union has Rugby7's and now golf has the World Super 6 Perth." A huge proponent for golf's need to adapt and find a shortened format, Keith Pelley, Chief Executive Officer of the European Tour, is excited to see the World Super 6 Perth make its debut in 2017. Pelley said: "This initiative was something that we spoke about at great length to our Tournament Committee, led by Chairman Thomas Bjørn. We are thrilled to participate in this because, at the European Tour, we believe that golf needs to look at new and innovative formats." The ground-breaking World Super 6 Perth will also showcase the changing face of Perth and attract millions of dollars in exposure for Western Australia. "I think this type of competition will appeal to all golfers, but especially to a younger demographic, and will encourage competitors to play aggressive and attacking golf," said Western Australian Premier and Tourism Minister Colin Barnett. "Golf is very popular throughout the world, especially Europe and Asia, and has a high appeal for many people in some of our top tourism markets, including Singapore, China, Malaysia and the UK." "The World Super 6 Perth will deliver valuable national and international media coverage of WA throughout the four-day broadcast, not only through the stunning scenery at Lake Karrinyup, but also through vignettes and billboards shown throughout play." 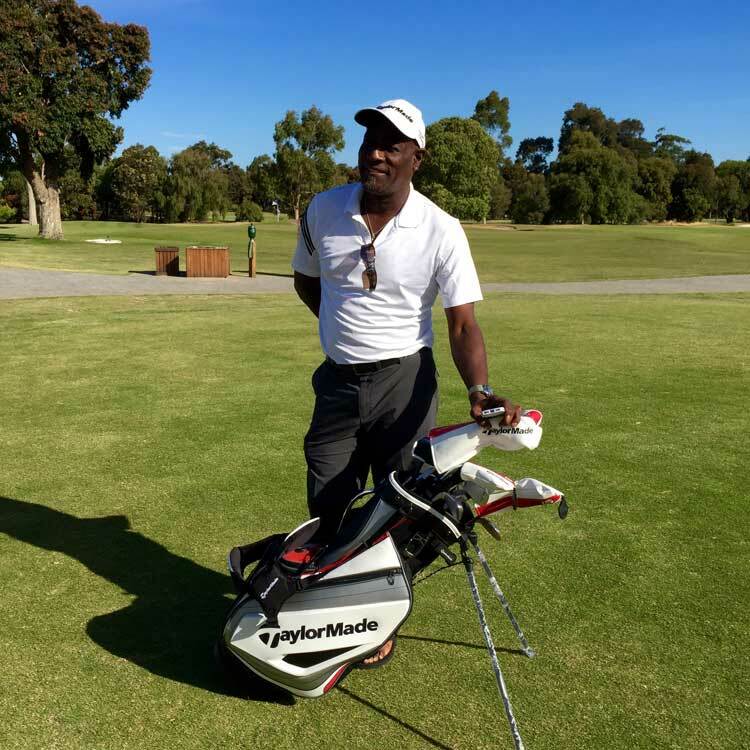 This revolutionary golf tournament aims to create an event that West Australians call their own and is a collaborative effort between the PGA Tour of Australasia, the European Tour and the broader West Australian golf community. "Western Australia has a long and proud history of hosting world-class sporting events. Our vision for the World Super 6 Perth is to create an event embraced by Western Australia that celebrates the WA culture and way of life," added Thorburn. "To help make this vision come to life we will be working closely alongside Golf WA, the WA Division of the PGA, Lake Karrinyup Country Club and the entire WA golf family." "The World Super 6 Perth also cements the PGA Tour of Australasia's relationship with the European Tour. Together we now co-sanction three tournaments in the Australasia region, we are working together to grow the game." The World Super 6 Perth will be played at Lake Karrinyup Country Club from 16-19 February and will form part of both the 2017 European Tour Race to Dubai and the ISPS HANDA PGA Tour of Australasia Order of Merit. The Fiji International is now part of the European Tour. The tournament is set to become even more global in 2016 thanks to a new co-sanctioning relationship between the PGA Tour of Australasia and The European Tour. Professional golfers from all over the world will descend on Fiji when the tournament is played at Natadola Bay Championship Golf Course from October 6–9. The Acting Prime Minister and Attorney-General Hon. Aiyaz Sayed-Khaiyum welcomed the news of Fiji International being included as part of the European Tour. “Being part of the European Tour provides Fiji unprecedented level of exposure and we will be able to reach markets where we do not have a presence,” said the Hon. Acting Prime Minister. “Cyclone Winston has shown our vulnerability, therefore, it is critical that we broaden our economic base and take up opportunities. We need to think outside the box. The Fijian Government a couple of years ago saw the future and took the leap to host a PGA event that opened up a new segment of tourism”, added the Acting Prime Minister. The new co-sanctioning relationship between the PGA Tour of Australasia and The European Tour is set to attract a stronger field, with more nationalities represented than ever before. The Fiji International will also be broadcast live into more homes thanks to European Tour Productions’ global reach. Close to 400 million homes around the world, including the important Asian, North American and Australian markets, will witness the beauty of Fiji as the Fiji International is broadcast live for 20 hours this year. “One of the key aims of the Fiji International is to showcase Fiji to the world as not only a beautiful island paradise, but also a golfing mecca,” said Brian Thorburn, CEO of the PGA of Australia which oversees the PGA Tour of Australasia. The European Tour is one of the strongest professional golf tours in the world, and 2016 will see their global presence boosted with their first visit to Fiji. Keith Pelley, Chief Executive of The European Tour, said: “It is tremendous news that the Fiji International will be played on The European Tour for the first time this year. The tournament will not only increase the playing opportunities for our Members, it will also increase our presence on the world stage. The news of the Fiji International joining The European Tour International Schedule is sure to excite European professional golfers, with the tournament fast earning a reputation as a working holiday. “One of the key drawcards of the Fiji International is in fact Fiji as a destination. Players are able to bring their families to enjoy a holiday, whilst they compete in a world-class tournament,” added Thorburn. A minimum of 59 players will come from both the PGA Tour of Australasia and The European Tour, whilst an additional eight tournament invitations will add to the diversity of the field. This year’s tournament will also see the highest number of positions set aside for Fijian golfers, with a minimum of six places available from qualifying events in Fiji and for Fijian nationals. This ensures Fiji’s leading golfers continue to have the opportunity to compete and enhance their skills in a world-class tournament alongside the best players in the world. With the PGA of Australia’s continuing relationship with the China Golf Association and the Korean Golf Association, players from both these tours will also be invited to play in the event. With the involvement of The European Tour, the Fiji International cements its position as one of the strongest tournaments on the PGA Tour of Australasia. The allocation of Official World Golf Ranking points to the tournament is likely to increase as a result of this co-sanctioning. The inaugural Fiji International in 2014 signalled Fiji’s official arrival onto the global golfing stage, with the Fijian Government, Fiji Tourism and Fiji’s number one player, Vijay Singh, all making a push to put their country on the lucrative world golfing map. In 2015, the Fiji International established a reputation amongst the world’s best golfers as a must-attend event for themselves and their families. The tournament also boasts some of the most unique hospitality options in world golf with the par three fourth hole providing the perfect vantage point to watch the golf, whilst socialising on the beach. 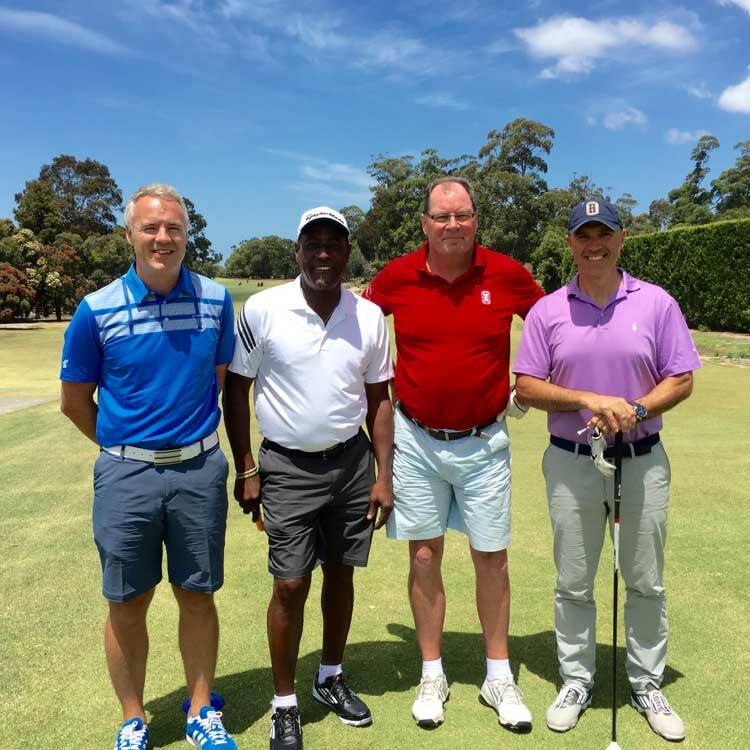 Simon Homer Managing Director of TaylorMade-Adidas, Sir Vivian Richards, Captain of Huntingdale Golf Club and Peter Quatro played at Huntingdale on New Year's Eve. It was a great day at Huntingdale. 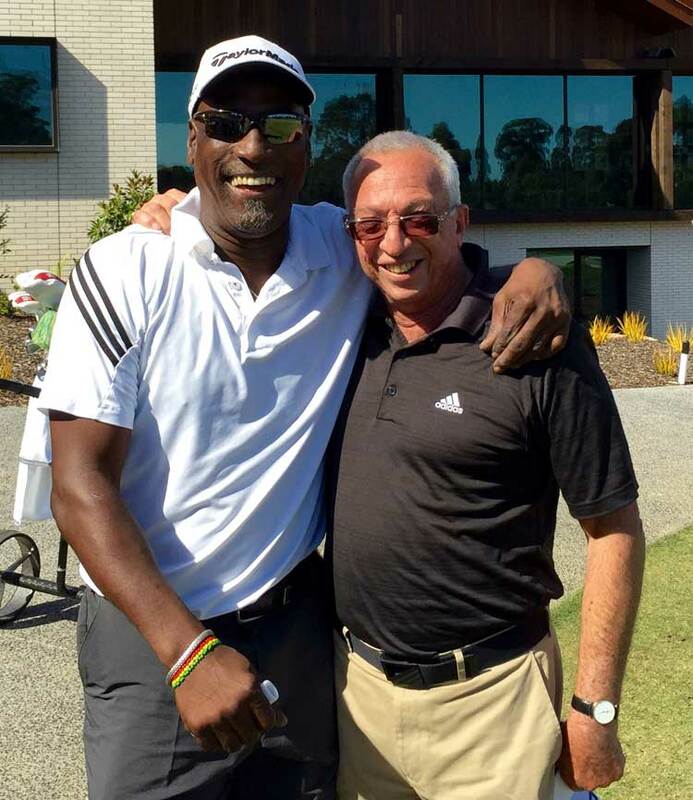 Highlights include Sir Vivian Richards enjoying his new TaylorMade Irons and Woods. easyGolf is the corporate supplier of TaylorMade and can manage corporate tours and golf days. It is with great pride and excitement that we are today able to announce the partnership between the TaylorMade adidas Golf Pacific Players Club and easyGolfWorldwide Travel & Tours. We will also be establishing golf days at some of the most exclusive and well respected golf courses here in Australia and New Zealand, specifically for the TaylorMade adidas Golf Pacific Players Club.